Astronomers often refer to the colour of a star, which seems a bit odd because we mostly see stars as white twinkly objects. 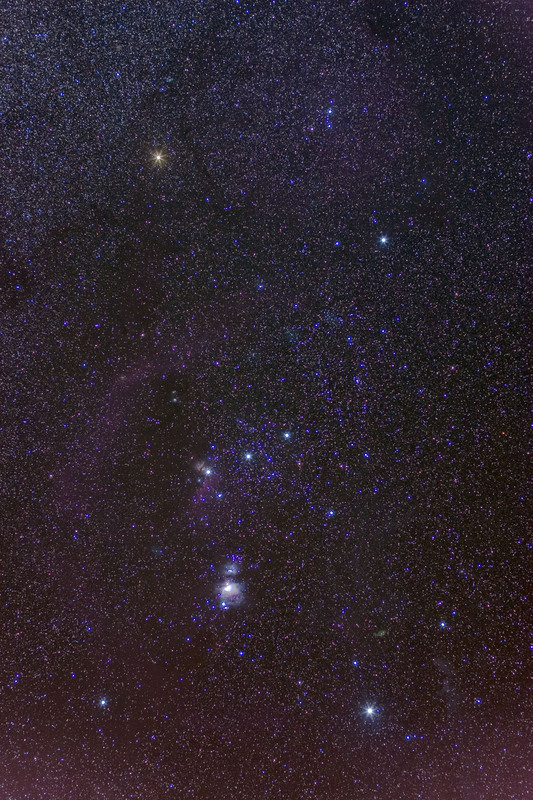 However, even with the naked eye, we can look closely at certain stars and detect a hint of colour – just look at this image of the Orion constellation. As we view him, the left shoulder has a red coloured star, while the right shoulder and right foot appear to be blue. Now click on the image to see the same view at much higher resolution. In the hi-res photo, look at the stars in the background. They’re not all white! What can the colour of a star tell us?